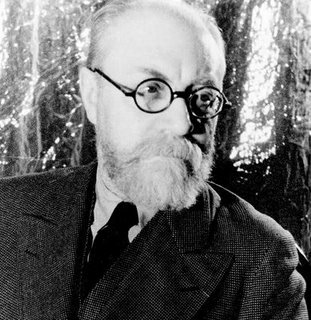 Today is the birthday of French painter, printmaker, sculptor, and scissor-wielder extraordinaire, Henri Matisse. The Fauvist artist and original sporter of round spectacles would turn 145 if he were miraculously alive today. On this most holy of art holidays, we're celebrating with "The Cut-Outs," Matisse's current exhibition at the Museum of Modern Art. The exceptional show spans the final phase of Matisse's life, from the late 1940s until his death in 1954, when the color-happy artist revolutionized the future of art by creating paintings with neither paint nor canvas. Instead, the artist painted with scissors, creating flattened abstractions buzzing with life, proudly residing in the realms of both adornment and fine art, object and environment. 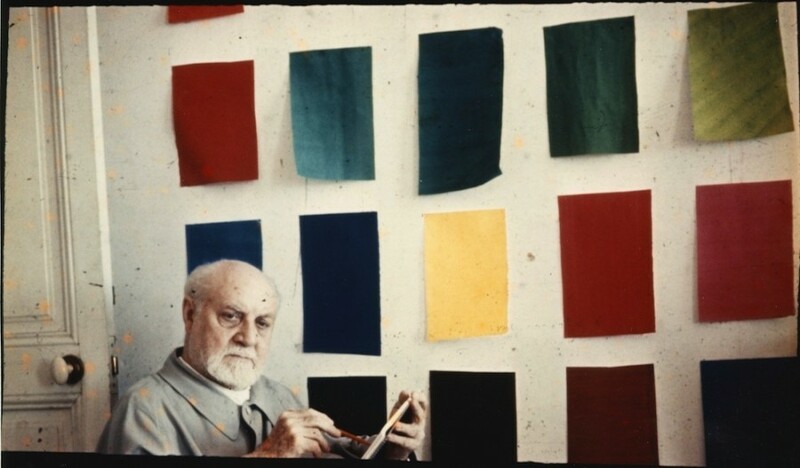 Prior to his cut-outs moment, Matisse was a leader of les Fauves, French for "the wild beasts," a group of modern artists that privileged the expressive power of color and shape above allegiances to nature and reality. 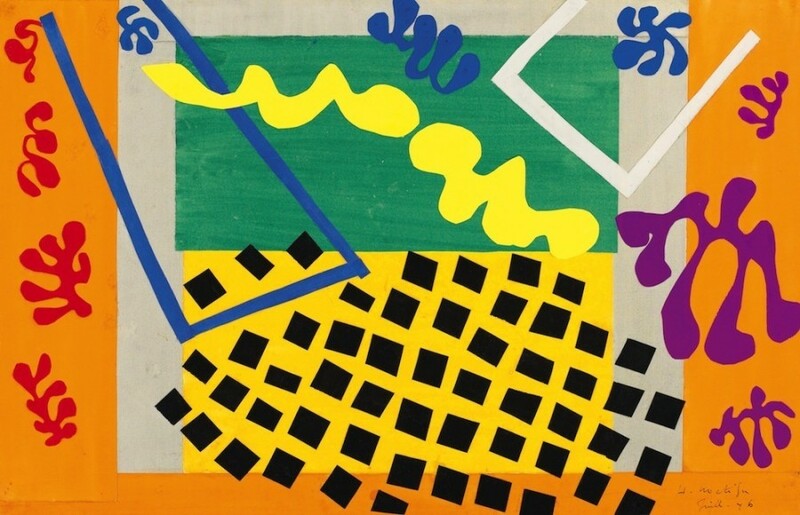 Matisse, along with artists like André Derain and Jean Metzinger, employed abstraction and electrified pigments to create artworks that, rather than mirror reality, surpassed it. Matisse's cut-outs were, in a way, the final phase of this artistic venture, the culmination of his lifelong mission to paint with pure color and shape. The artist cut painted sheets into shapes -- some edgy and geometric, others more organic -- yielding flattened color-scapes that point to the infinite possibilities of artistic potential, the endless combinations of color and shape that extend beyond those visible in the physical world. As Jerry Saltz so beautifully expressed in his review, "With The Cut-Outs, Matisse crosses a mystical bridge. One of the true inventors of Modernism, he stands at the precipice and points to a way beyond it, to a pre-digitalized space, where pixels and separate segments of color and line form images, where painting seems to exist even where there is no paint and no canvas. With The Cut-Outs, Matisse goes beyond the romantic notion of the self-mythologizing agonized male genius. With The Cut-Outs, all we see is the work; only process is present; process and something as close to pure beauty in all of Western art." Despite the works' cheery appearance, they were made during a period of intense suffering for Matisse. Rendered unable to paint traditionally due to deteriorating health, he created his cut-outs while confined to a bed or wheelchair, enlisting assistants to help him and using a long stick to draw and point. Despite the physical agony Matisse endured during the works' creation, they appear as boundless and carefree as wild beasts frolicking in a color field. The pre-internet works operate almost as a proto-Second Life, offering a not-quite-virtual space for limited humans to experience infinite freedom. It's also, for those who prefer to remain offline, one of the great powers of art. Happy birthday, Matisse! Your wild colors and strokes never fail to put smiles on our faces. We're thinking of you today. 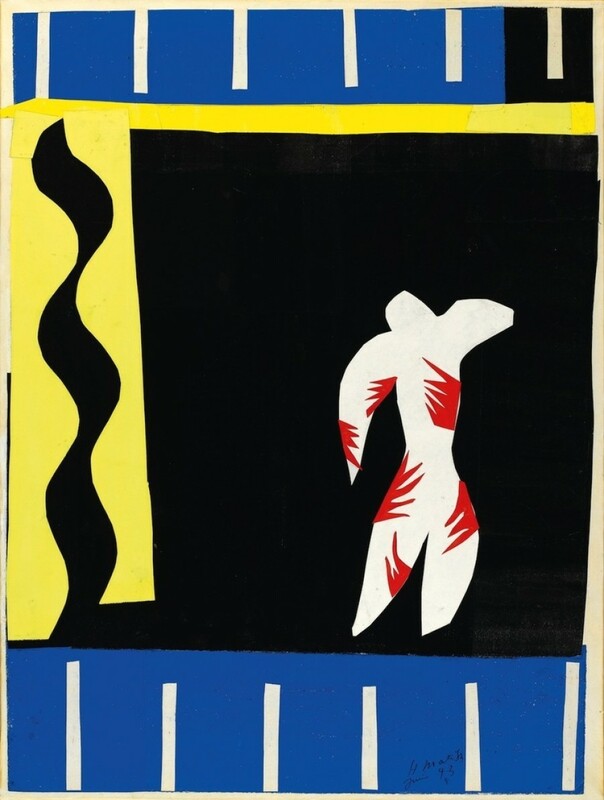 "Henri Matisse: The Cut-Outs" runs until February 10, 2015 at the Museum of Modern Art in New York. See a preview below. We'll start with a real challenge. This one has plagued every fan of "The Garden of Earthly Delights." The correct pronunciation: Hi-RAHN-eh-mus Bosh.